Art is a very broad term to refer to something that allows us to use our creative thinking as well as for expressing ourselves. Art comes in various styles and uses a variety of tools. Some forms of art are done using a writing tool with ink, paint, or pigment applied onto a surface. Some other forms of art are done by forming an image or a structure using a moldable material that will need to be hardened, or with the use of wood that will require some carving. You may also see formal invitation templates. Invitations, on the other hand, are tools that are commonly used by event hosts and planners to notify people of an upcoming event. Aside from just informing people, invitations are also used to express the host’s desire for the recipient to come to the event. If you are in need of a downloadable invitation template that bears doodle illustrations, then we might just have what you need. 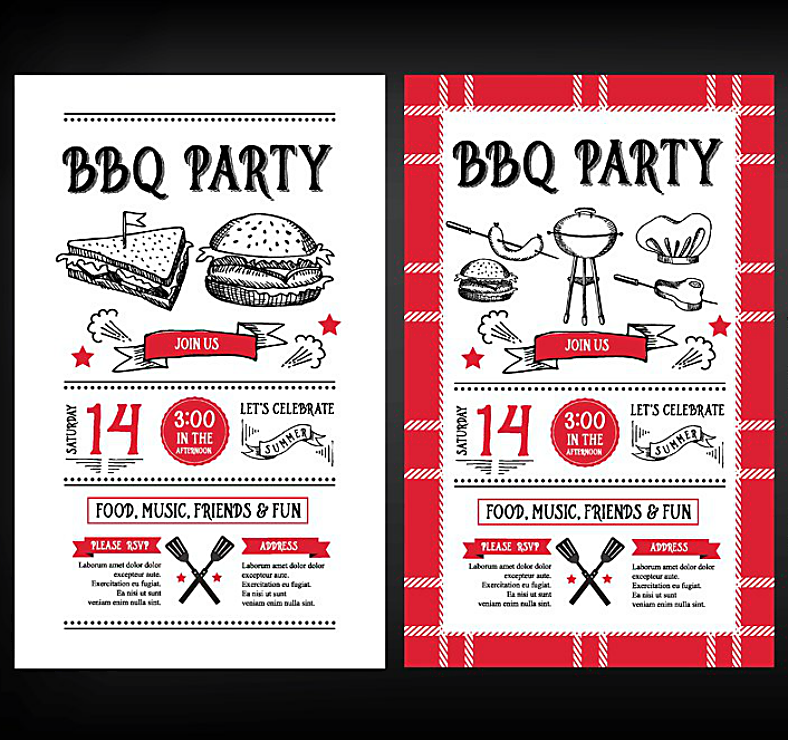 Below is a collection of some doodle invitation design templates that we have gathered from the internet, go ahead and check them out yourself. 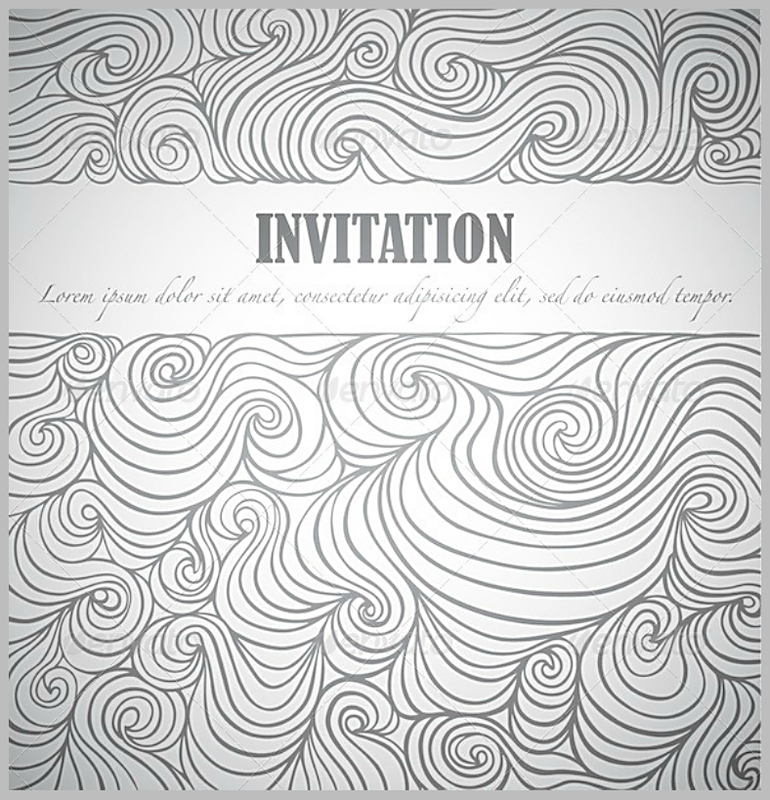 Above is a minimalist doodle invitation template that you can use for all sorts of events, and you may be allowed to have this printed as well. The beauty of this printable invitation template lies in its simple yet highly detailed nature. Planning to hold a barbecue party? No problem. 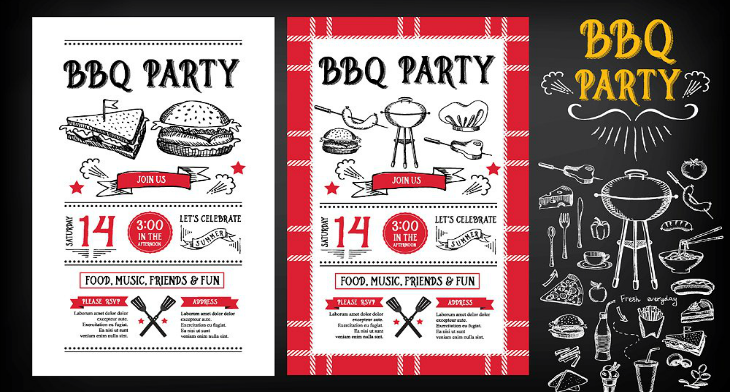 Above is a perfect barbecue party invitation template to use which contains doodle illustrations of food, and you can even choose between a template that contains an artistic border and one that doesn’t. An invitation card—sometimes simplified to just invitations—is a tool that people use to formally notify people that their presence is being expected at an upcoming event or party. Just like any other mailed or sent card, an invitation is made using paper or cardstock and is decorated with textual and graphical elements. An invitation usually consists of relevant information regarding the event which includes the type of event to be celebrated, the name of the host (sometimes), the date and time that the event will take place, and the venue or street address where the event will be held. You may also see elegant wedding invitation templates. Additionally, an invitation should also include a message from the host or the sender which indicates the reason why the said event is being planned, and that they expect the reader to attend that event, and this message is usually written in a formal, third-person language. You may also see sample invitation templates. The making and the sending of invitations is the responsibility of the host. With regards to sending these, it can either be done personally—especially if the distance between the sender and the receiver is not an issue—or it can also be done through the mail. According to experts, the best time to send out invitations is between five to eight weeks prior the date of the event. 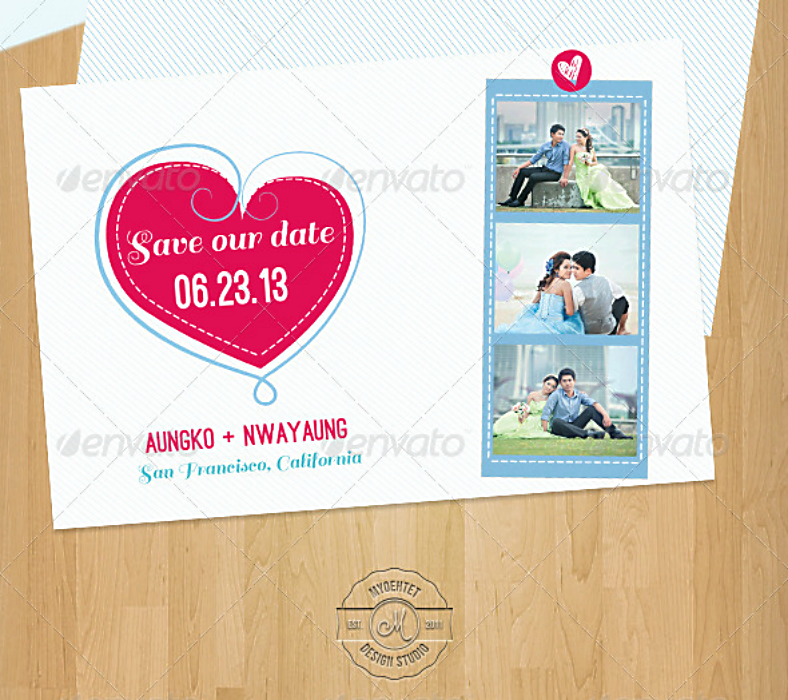 You may also see invitation sample templates. Lastly, the RSVP card, which is something that is used alongside the invitation card though not really required except for invitations to formal events. RSVP is an abbreviated version of the French phrase “Répondez s’il vous plaît“, which translates to “Please Respond”. RSVP cards have their own deadline or date that they need to be returned to the host of the event, and this is to allow the host to prepare for the final number of attendees. While RSVP cards are commonly printed on a separate card or paper stock, some are also incorporated onto the invitation card. 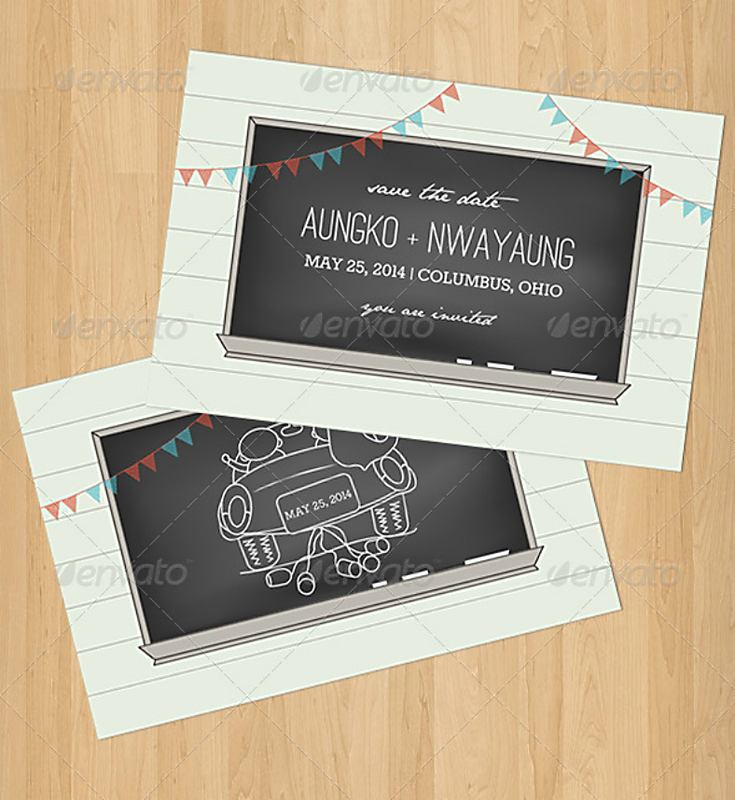 A chalkboard-inspired invitation template for a child celebrating their birthday? Perfect. This template contains various doodle illustrations that appear to be done using a chalk, which is simply amazing considering the type of party and the age of the birthday celebrant. Here is a save the date card template that contains a little bit of doodles on two of the four corners. The use of doodles on this template simply enhances the look of this invitation and further makes it elegant. Doodles are commonly done by students whose attentions are slowly drifting away from the discussion. And, the only way to keep them at the present moment is by making doodle illustrations on their notebooks or a piece of paper. The children’s party invitation template above resembles just that, from the use of different pen colors down to the horizontal lines. How to Make Your Own Invitations? The process of making your own invitation cards may either be too easy or too complicated, depending on how you want them to be presented or the type of event that you are planning. 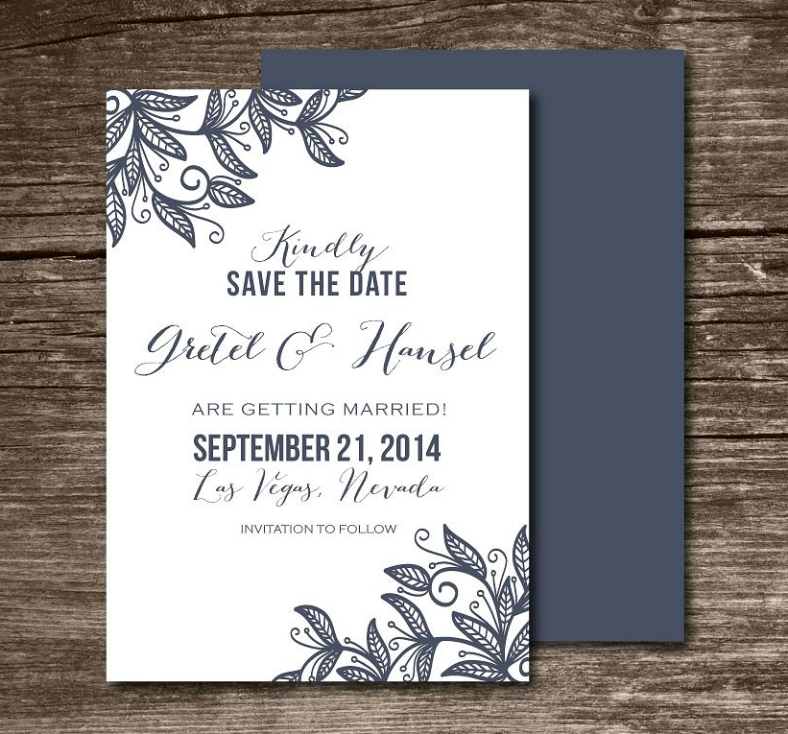 In reality, invitation cards are actually a lot easier to make than most people would expect, especially with the fact that downloadable formal invitation templates are available abundantly on the internet. But, to guide you in the process (especially if it’s your first time), you may want to read the list of steps below. 1. First and foremost, take into consideration the type of event that you are planning, is it a formal and intimate event? Or is it just a casual get together? 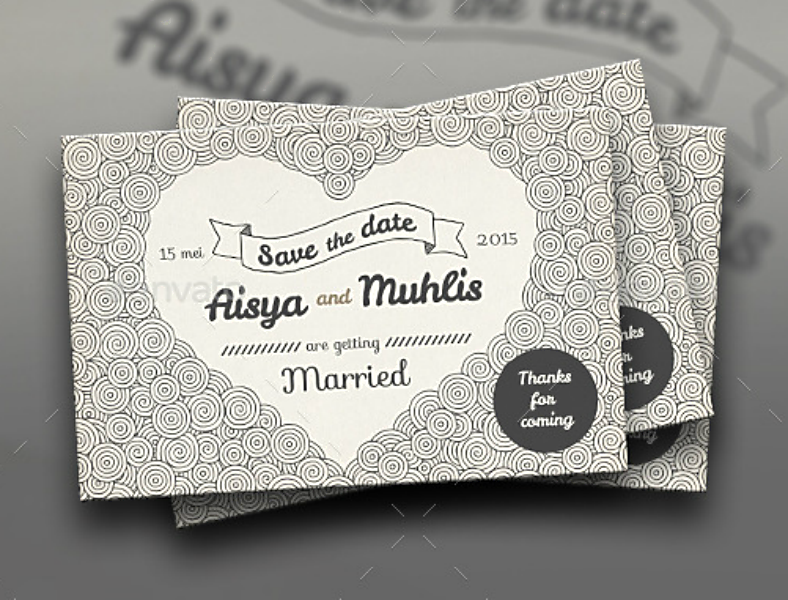 The reason for this is the type of event will be able to provide you with a concept on the design of the invitation. 2. Once you got that out of the way, the next thing that you should do is to look at sample invitation cards on the internet or actual ones that you have in your possession or even those that are being sold in boutiques. Gather as much information as you need from these samples and you’ll be surprised at how much it can help you during the designing process. 3. After gathering the needed information, it’s time for you to make a draft or a sketch of the entire look of the invitation card. Many would get the impression that this step is time-consuming and is no longer needed, but it could actually help you out during the process of actually making your invitation. How? Once you’ll get to the design process, you will already know what elements to include and how to arrange them on the design, which therefore can help you save a lot of time. You may also see invitation samples. 4. The next thing that you will need to do is to download an invitation design template from the internet, because, why stress yourself out by making your invitations from scratch when you can always download pre-designed templates from the internet such as the ones in this article. Just look for the template that best resembles your sketch and download it. This way, you will only need to make modifications on the template depending on your preferences. 5. Once you’re done editing the design of your invitation card, it’s time for you to have it printed. You can either have your design printed yourself, or you can also have it printed at a printing company. If you choose the former, just make sure to use high quality ink toners and to set your printer to print at the highest quality. Now that you already know how to make them, here are a few tips on how to write a great invitation to further help you out. 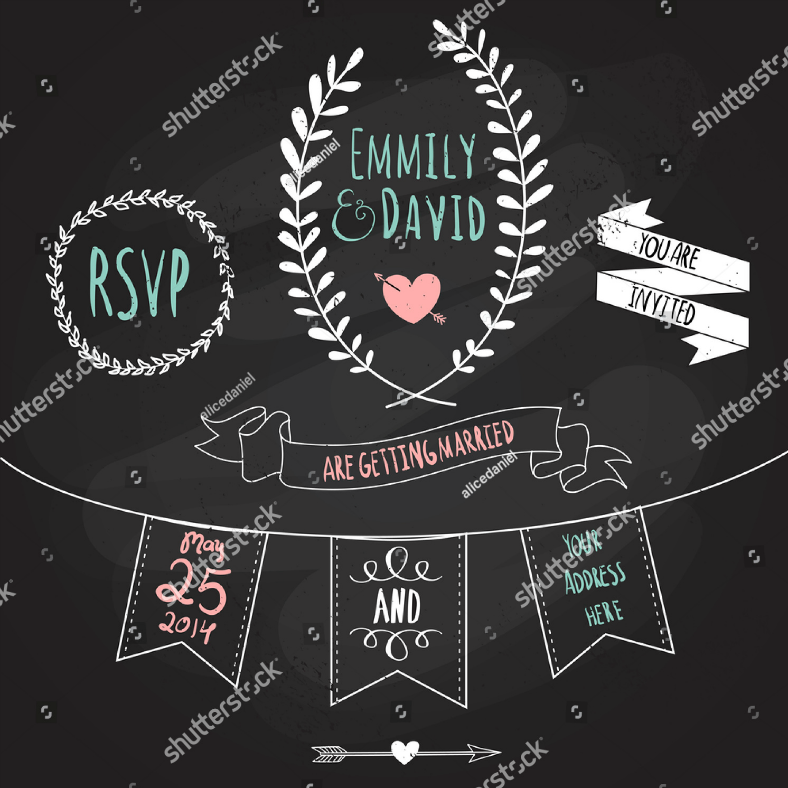 The two party invitation templates above perfectly resemble doodles done on a chalkboard, with the first one meant to be used for a wedding event and the second for a birthday party. If chalkboard-inspired doodle invitations are what you need, then look no further. 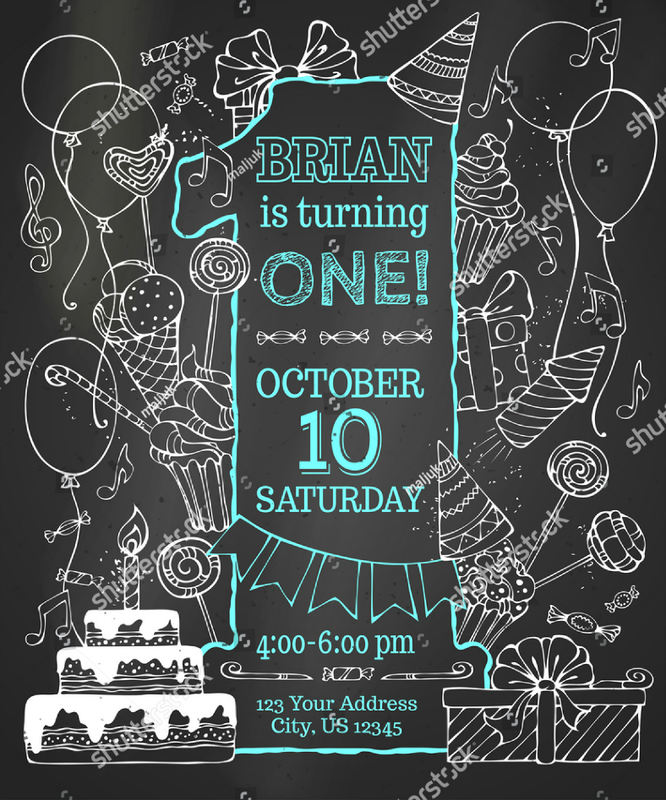 Looking for a birthday invitation template that contains colorful doodles? Check out the template above. The number which indicates the age that the birthday celebrant will be turning is surrounded with multi-colored doodle illustrations. Below that are the other details regarding the party, which are simply written over the solid blue text box. A doodle art is defined as an illustration that is done to keep a person busy if they are bored, or when their attention has diverted to something else. Doodling can somewhat be compared to fidgeting, wherein they are done to help a person regain their focus. Doodle illustrations are just simple drawings that done by hand and are usually made using a pencil, pen, or marker. You may also see black and white party invitations. Doodles can either hold meaning or it can also be just a random, abstract illustration consisting of lines and shapes. Those with a meaning usually involve caricature representations of both living and non-living beings. A type of doodle that involves drawing of lines and never lifting the writing tool from the surface of the paper is called a scribble, which is commonly done by small children because of their lack of eye and hand coordination. What Are the Benefits of Making Doodles? If you think is just a random illustration that is done for no purpose at all, then you are wrong. The beauty with doodle illustrations is that they are not only artistic and pleasing on the eyes, but they are also beneficial especially to children. Read the list below to find out the different benefits of making doodles. You may also like a folded invitation templates. 1. Doodling develops concentration and focus. Even though doodles are abstract illustration designs that seem to be made of no purpose, it can actually help in the increasing the person’s ability to concentrate on something. 2. Doodling promotes creativity. Just like any other form of art, doodling can also help in promoting a person’s creativity by stimulating that part of their brain. The more they doodle regularly, the more they become creative and be able to understand the concept of spatial awareness in a given illustration. You may also see free invitation templates. 3. Doodling relieves stress. Making doodles is not only for children, adults can do it as well, and it a very good pastime to relieve yourself from all stresses in life. According to studies, doodling is a better stress reliever than coloring books since it is a far simpler task. You may also see beautiful party invitations. 4. Doodling keeps you active. According to studies, teenagers to adults have an average attention span of between ten to twenty minutes, and a person’s attention will need to be wound back up to be able to absorb more information. Doodling is a very good way for winding up your brain to make you active as well as attentive. You may also see free invitation templates. 5. Doodling let’s us see the bigger picture. When people doodle, they commonly concentrate on applying lines and figures on certain areas of the paper, but at the same time, they also take into consideration the overall appearance of the illustration to make sure if it still looks good or if it needs more lines. Therefore, making doodle illustrations let’s us not only focus on selective aspects, but the bigger picture as well. You may also see examples of wedding invitation. The most common doodles that people make are spiral patterns, which may seem complex but is actually very easy to do if you only know how to arrange them into layers. The event invitation template above makes use of those spiral patterns, and its negative space forms an image of a heart, and this space is also used for the textual elements which indicates the details about the wedding. 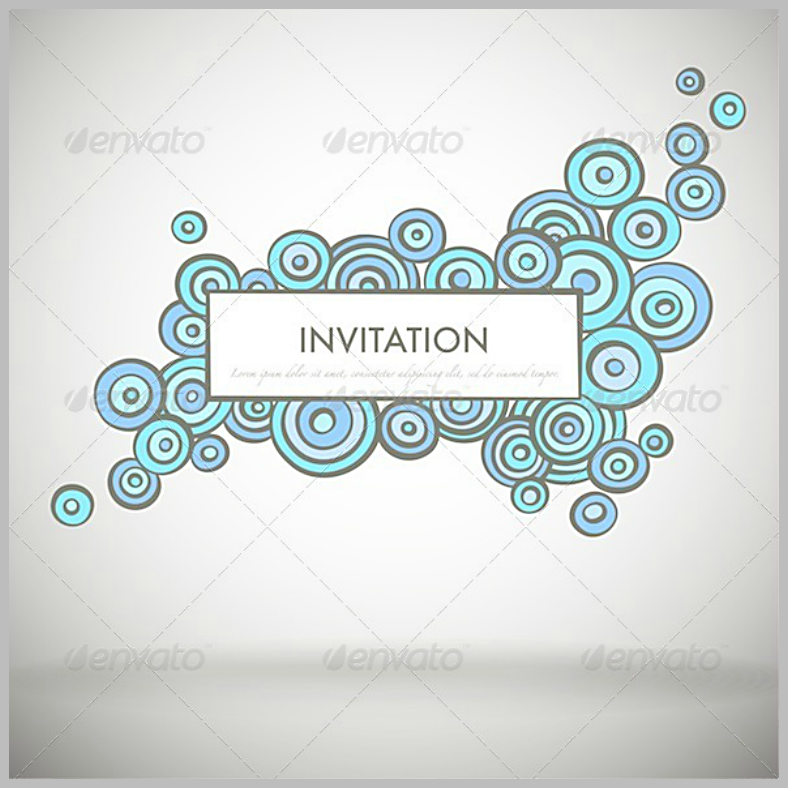 Here is yet another event invitation template which bears mandala-inspired doodle illustrations. But, for this one, the doodles can be found on the top and bottom edges of the template, leaving the middle part clean to make the text stand out and easy to read. Above is a highly artistic wedding invitation that makes use of doodles to decorate the heart image, which helps to enhance the look of this invitation. If you look closely at the sample image above, this template also makes use of a patterned background to prevent it from looking dull, and the pattern resembles heart symbols that are being doodled. Did you like the various doodle invitation templates that we have on this article? If so, then wonderful. But, if you are still unsure whether these templates are really worth downloading, here are a few details about our templates that we would like to share with you. 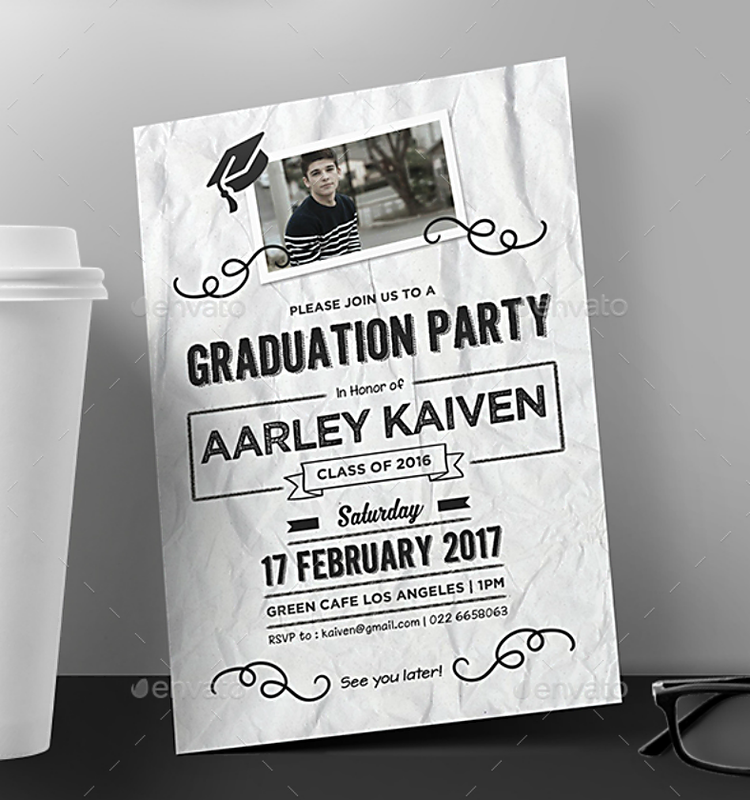 With regards to where these templates came from, they were actually gathered from multiple websites which offer more than just templates for invitation cards. And of course, credits should be given to some of today’s graphic artists who are actually behind all of these invitation templates. The next concern to address is about the editability of these designs which is an important feature to allow users of these templates to modify the look of the invitation depending on their preferences. Fortunately, every single one of these templates is fully editable and also capable of preserving their sharpness. In addition to this, you may also be allowed to make individualized changes to the elements, and as much as you need, all without having to worry about ruining the template’s quality. Lastly, let’s discuss the cost of downloading these templates. 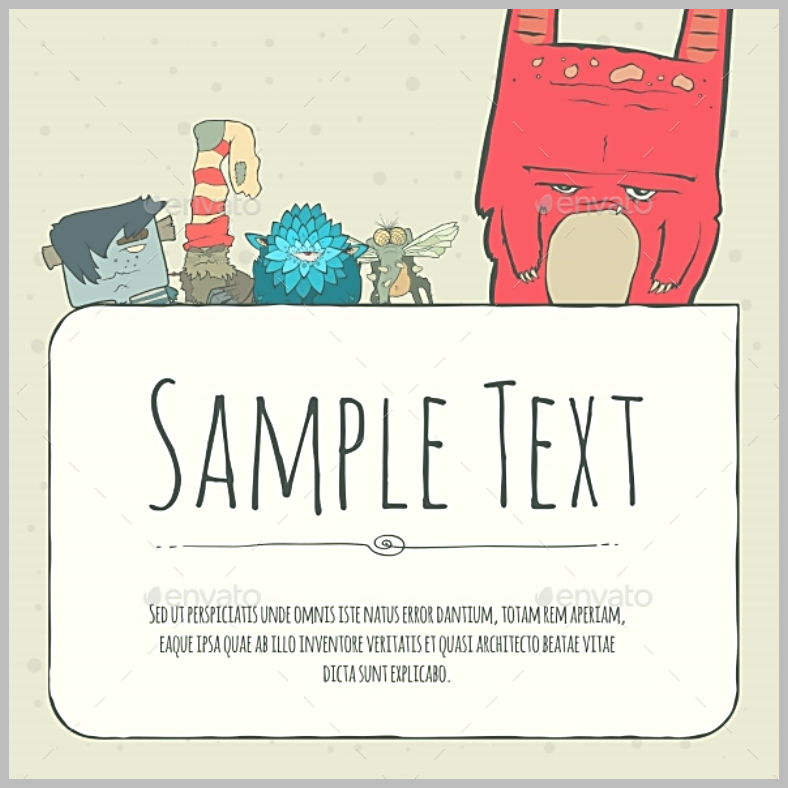 You’ll be very glad to know that you may be able to download these templates for a reasonable price. So, what do you think? Does all that sound convincing enough for you? Download a template now to start working on your event invitations.